Blog Be sure to watch Jill Rappaport, DWAA Keynote Speaker, on Animal Planet's "The Dog Bowl"! 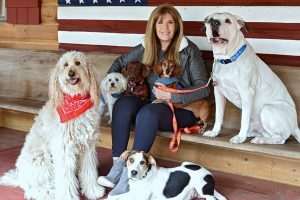 We are so inspired by the work of Jill Rappaport, a tireless advocate of senior dog adoptions…and an upcoming keynote speaker at the DWAA Awards Banquet on Feb. 10 at the Hotel New Yorker! Please be sure to tune in and watch “Puppy Bowl Presents: The Dog Bowl” this Superbowl weekend. You just might end up adopting a golden oldie – and one way or another, there will be tons of cuteness!